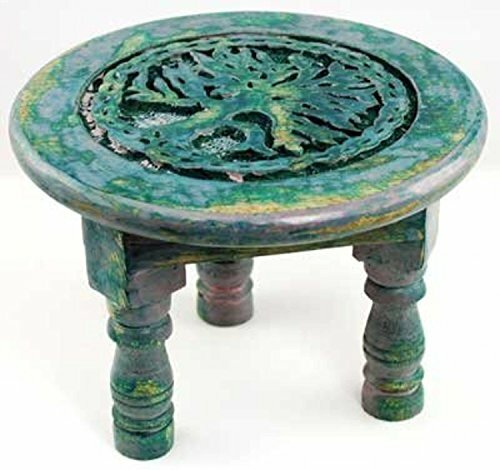 This small altar table, decorated with a complex image of the Tree of Life, encircled win a wide wreath of Celtic knots formed from its roots, is perfect for anyone who needs a portable surface if they cannot keep their altar out in the open, or for the practitioner on the go, who could use a portable surface for their rituals and practices in their travels. 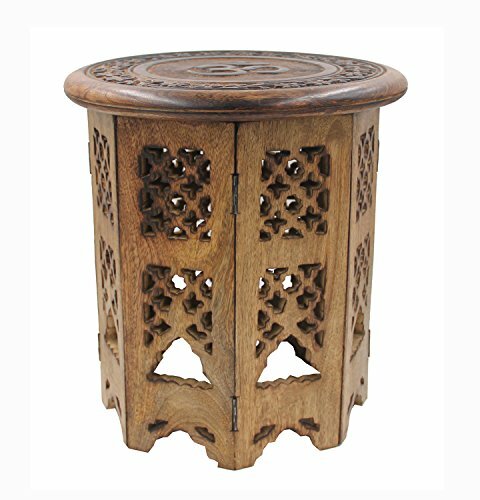 It measures approximately 6 inches in diameter and about 4 1/4 inches in height, and stands on 3 wooden legs. Offers a rustic green color with magenta highlights. Old world rustic coloring. Manufactured by New Age Imports, Inc. In a lot of Eastern philosophies and spiritual practices a bell has a deep significance for invoking the positive forces. Bells are often used in mindfulness meditation and other zen meditation techniques. This is a beautifully hand carved multi purpose fully functional bell that can be used anywhere and for any purpose including home decor! The art form of hand carving on brass is known as Dokra and has been practiced for centuries in Bengal, India. This bell is carved using that style of art by skilled crafts persons from India. The bell has a sweet sound and can be used in a variety of places - at the officer, as a desk bell, as a teacher's bell, or at home for meditation, yoga, mindfulness practice or at the altar of worship as a Hindu puja bell. 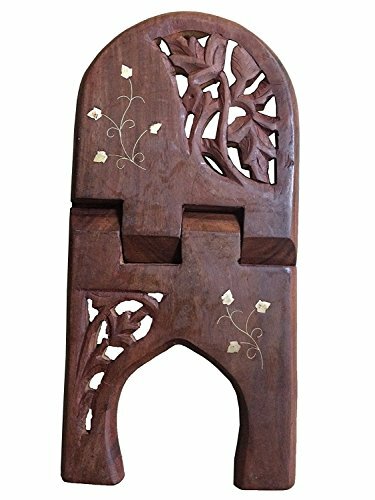 The two folding pieces are made from a single piece of high quality Indian rosewood with no use of nails or any other joining mechanism, keeping it pure and fit for religious purposes. This book stand is ideal for hands-free reading or displaying sacred texts on your altar or can also be used for cookbooks.Overall, these products not only stand for aesthetics and traditions, We want our products to not just sit quietly, looking pretty in a corner of your home, but in fact speak your mind. 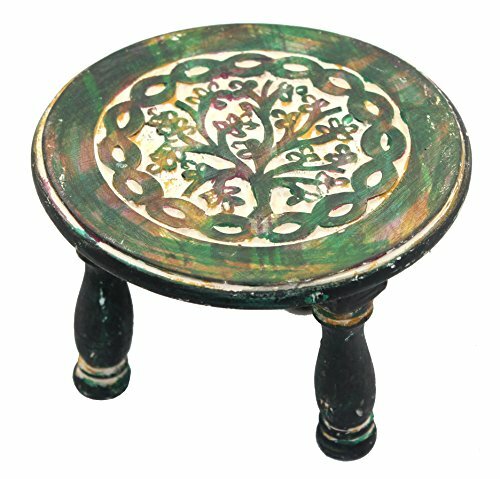 Govinda® Round Tree of Life Altar Table 6 Inch This small altar table, decorated with a complex image of the Tree of Life, encircled win a wide wreath of Celtic knots formed from its roots, is perfect for anyone who needs a portable surface if they cannot keep their altar out in the open, or for the practitioner on the go, who could use a portable surface for their rituals and practices in their travels. It measures approximately 6 inches in diameter and about 4.25 inches in height, and stands on 3 wooden legs. 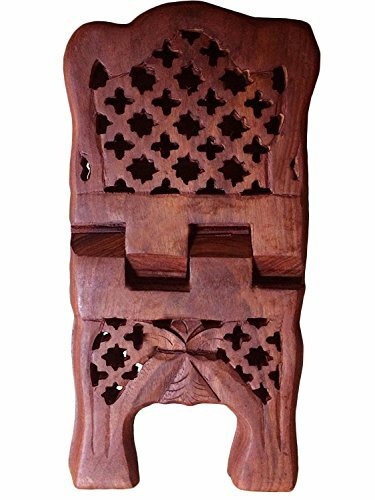 The two folding pieces are made from a single piece of high quality Indian rosewood with no use of nails or any other joining mechanism, keeping it pure and fit for religious purposes. This book stand is ideal for hands-free reading or displaying sacred texts on your altar or can also be used for cookbooks.Overall, these products not only stand for aesthetics and traditions, but the designs on it also represent various socio-cultural issues that we want to talk about with the world and even encourage others to talk about it by gifting these handicrafts to one another. We want our products to not just sit quietly, looking pretty in a corner of your home, but in fact speak your mind. 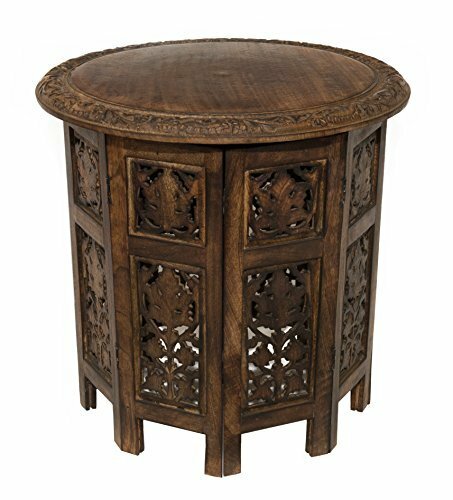 Looking for more Carved Altar Table similar ideas? Try to explore these searches: Youth White Mock Turtleneck, Pre Tied Organza Bow, and Glorious Needlepoint. 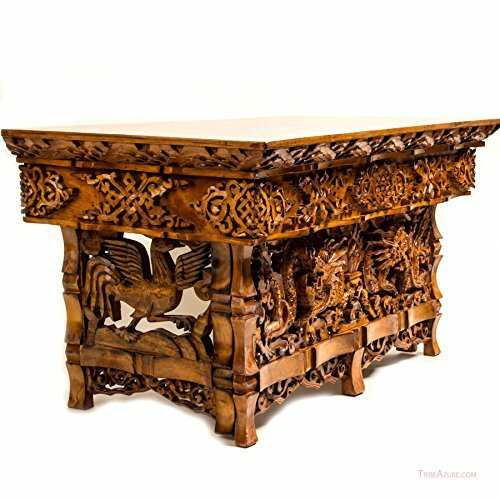 Look at latest related video about Carved Altar Table. Shopwizion.com is the smartest way for online shopping: compare prices of leading online shops for best deals around the web. 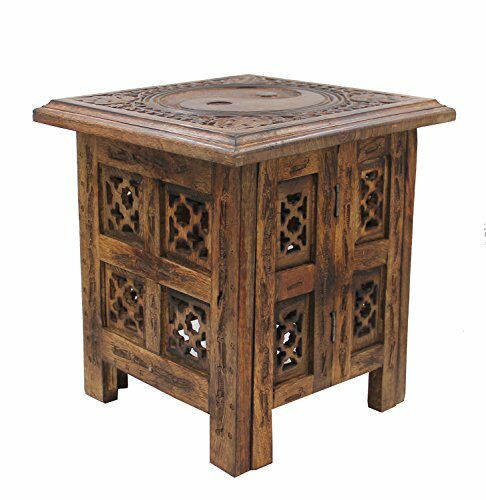 Don't miss TOP Carved Altar Table deals, updated daily.